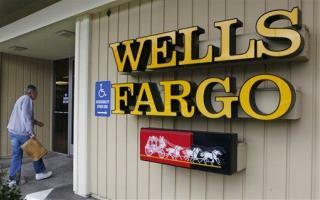 (Newser) – Wells Fargo has been slapped with a record $185 million penalty over a scam carried out by its own employees—5,300 of whom were fired. The Consumer Financial Protection Bureau says Wells Fargo workers trying to reach sales targets opened around 2 million phony deposit or credit card accounts, often transferring funds between customers' authorized accounts and the new ones they had created in their names. The Wells Fargo workers got bonuses for meeting targets, while the customers ended up paying fees on the phony accounts. The CFPB says Wells Fargo, which has agreed to pay the penalty, set up the bonus program without monitoring it for possible shady behavior. WHAT! Those 5.3k WF employees are no different than Berine Madoff! They should go to JAIL! PERIOD! There ya go ALL!! Parasites doing what they do best. Skimming and scamming. Not news. 268,000 employees sounds like welfare for white collar sector.